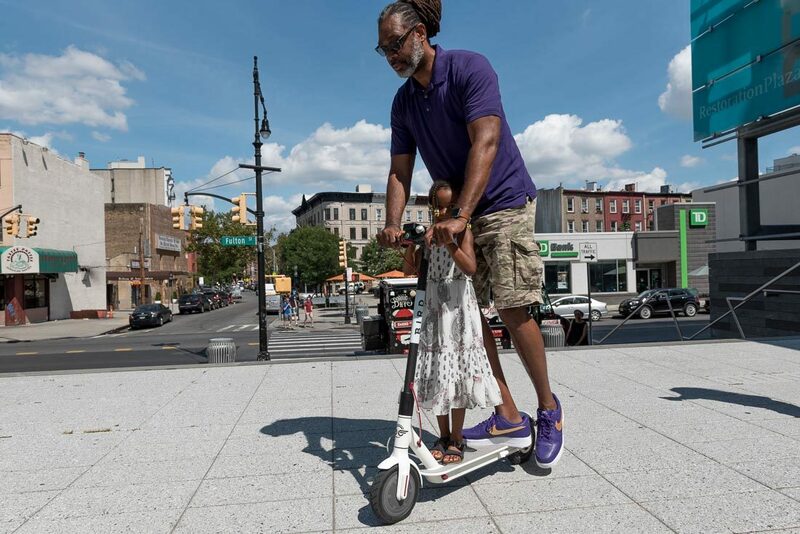 BED-STUY – On a blazing day in Bed-Stuy, a cool new piece of technology was making its Brooklyn debut, with politicians and passers-by zipping to and fro on silent, electric scooters. The demonstration was sponsored by Bird, a global ride-share company that specializes in dockless electric scooters. Recently, the interest in such scooters spiked after Brooklyn City Councilmember Rafael Espinal (D-37) co-authored an op-ed in the Daily News, calling on the city to welcome the scooters. This morning, Councilmember Robert Cornegy (D-36) was on hand at the public preview for Bird scooters in Bed-Stuy’s Restoration Plaza, cruising back and forth on the electric vehicle and talking up the potential impact in his community. 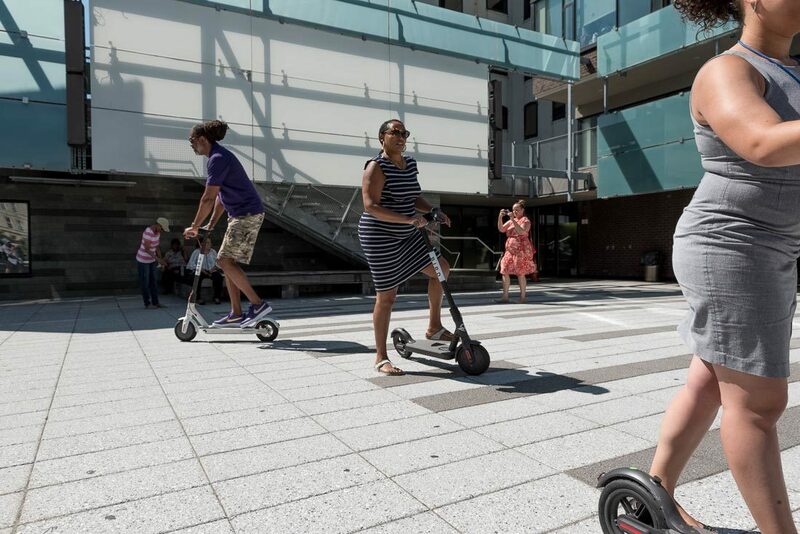 Cornegy said he disagrees with the notion that new tech like dockless scooters would speed up gentrification in the area. Instead, he focused on the potential to reach residents that need another affordable transportation option, touting the success of CitiBike in the northern part of his district. Bird scooters are relatively affordable, too. Rides start at $1 and cost 15¢ per minute after that (20¢ per minute in some cities). The peppy scooters top out at 15 mph and have a range of 15-20 miles per charge. “I would definitely use it, it looks safe,” said Rushawna Woodbine, 21, who works as a waitress nearby. She often walks to work, because the bus takes too long, and is hesitant to spend money on an Uber because she doesn’t know how her tips will turn out at the end of a shift. Richelle C., who is in her 50s, was seated in the shade nearby, decidedly less convinced. She watched others zip around on the surprisingly quick scooters but didn’t want a ride. Safety is a major concern. Bird stresses that each user should wear a helmet where required by law and ride in the bike lanes where they are available. Riders are warned by the app not to ride on sidewalks, and if police enforce the rule, sidewalk riders could be looking at a $50 summons for an infraction. Bike lanes aren’t always available for cyclists in the city, but Councilmember Cornegy—a cyclist himself—said he would continue to advocate alongside TransAlt for more protected bike lanes in his district. He did acknowledge that the creation of bike-friendly infrastructure required a balancing act between the concerns of constituents. Anyone who has attended a local Community Board meeting can attest to the vehemence with which car driving residents can oppose the move. Beyond the safety of riders and pedestrians, another common concern regarding dockless ride-sharing vehicles, like electric bikes and scooters, is sidewalk clutter. If they can be parked anywhere, what’s to stop riders from ditching them in front of doorways or on a neighbor’s lawn? Bird seems to have the answer: the Save Our Sidewalks program. The company pledges to have a dedicated fleet patrolling the city, righting overturned scooters and even picking them up overnight, then redeploying them in the morning. 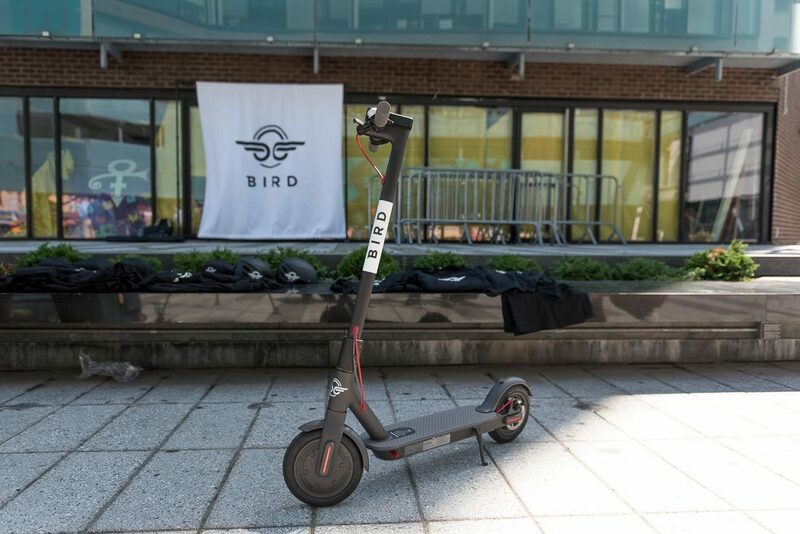 Using data collected from rides, Bird promises to only deploy enough scooters based on the demand they’ve, to avoid overcrowding streets and neighborhoods. Additionally, the company will pay $1 per scooter per day back to the city for use in traffic infrastructure projects. For a company ordering up scooters by the hundreds of thousands worldwide, that’s a significant promise. 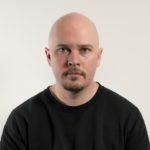 The numbers for how many Bird scooters would appear in New York are under wraps, but Bird’s Director of Public Policy, Matthew Kopko, said Brooklyn would be a likely recipient when they get the green light. Outer borough spaces are also those most likely to have transit deserts, leaving locals with fewer options to get around quickly. Some believe the city’s recent decision to cap for-hire ridesharing vehicles (ie: Uber and Lyft) will exacerbate the problem in the farther reaches of the city. Between the current disrepair of the subways, the coming L Train Shutdown, and the bus crisis, the company sees a good opportunity to move people around and make a buck doing it. The city seems to agree, testing out dockless bikes and revealing new pedal-assist CitiBikes aimed at areas affected by the L Train Shutdown. Legislation has been proposed in the city council, so the scooters may be zipping into your neighborhood sooner rather than later—Bird already operates in 30 cities in the US, and in additional cities on three continents. If it has a throttle (and cannot go faster than 20mph)- the Federal Gov’t considers that a Class 2 Electric Bicycle- which is illegal in NYC. If the City Council passes legislation making these legal- they would be setting a precedent and enforcement of the law regarding electric bikes that can go faster than 20mph would probably prove impossible. California is already struggling with this problem and now these people are bringing this problem here. These scooters will litter the streets, laying arround all over the place, plus now in addition to moronic bikers who think they own the road, we will have to watch out for morinic scooter riders who will also think they own the road. If the mta wasnt raising fares every single year for repairs that are no where to be seen, we wouldnt need some half bakes new mode of transportation.